Flaky layers of shortcrust pastry dough filled with plump juicy pears and a saffron, cinnamon, ginger and honey custard. But one of the best parts is that this delicious and aromatic pear tart has no added sugar. But I must warn you, it wasn’t me who came up with this lovely flavor combination. I’ll let you in on a little secret. 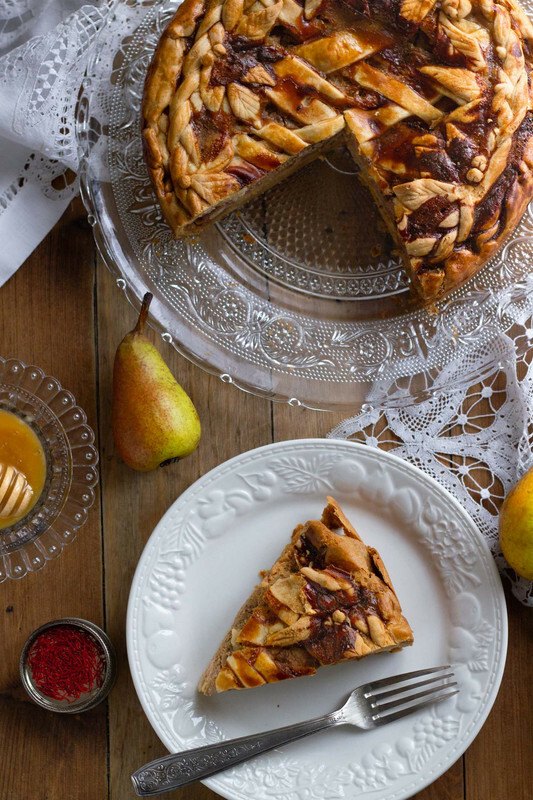 This pear pie recipe is actually medieval. What? Yup. It’s a Medieval Pear Pie, and it’s DELICIOUS! I found the recipe in a Medieval cookbook I bought it (ok, French bought it for me) when we went to the Cluny Museum of the Middle Ages last year. The book was written by Françoise de Montomollin, the head cook of the Château de Guédelon, an experimental archeological reconstruction of a Medieval Castle in Burgundy. If you are ever in Burgundy I highly suggest you check out the site. It really transports you back to the 13th century. Now I bet you must be wondering what exactly did people eat in the Middle Ages. More often than not, medieval cuisine is thought to be comprised mostly of gruel and little else. However a closer glance at this particular period – which spans over almost a millennia – proves that food was rich, colorful and creative. It’s very interesting that, which contrary to popular belief, the Middle Ages were rife with technological, philosophical, and cultural advancements that paved the way for the Renaissance. Food was definitely amongst these numerous innovative creations of the time period. Medieval palates were used to an extremely varied gamut of flavors that at times might seem odd to our modern taste buds. Yes, gruel and porridge certainly were present in medieval cuisine, but let me assure you that cuisine in the Middle Ages was anything but boring. In fact it was during this time period that cooking became an art, and professional chefs were among the few commoners who could rise up the ranks all the way to lower nobility. History is loaded with examples, but perhaps the most famous was Guillaume Tirel, nicknamed Taillevent which literally translates to “cut wind” like the sail on a sail boat does. After a careful examination I found that his peculiar moniker was the result of two particular circumstances: one that he puffed up with air (just like a sail) and rose to greatness and the second was that his huge aquiline nose also resembled the sails on a ship. Taillevent not only made a name for himself in the French court of the 14th century, but since he wrote THE reference cookbook of his time he is regarded as the first "professional" master chef in the world. His cookbook Le Viandier, became widely popular amongst the upper class. Unknowingly he had set the foundation on which all subsequent French cuisine was built upon. Another great medieval “cookbook” is Le Ménagier de Paris. I use the word cookbook lightly as it was a actually more of a home economics treaty, written by an elderly spouse for his newly wed teenager wife. Just like Le Viander the book is full of principles and precepts, explained through stories. The first two parts of the book are actually guidelines on how to manage a household and how to be a docile and submissive wife, which was a woman’s role back in the day. But before you get very “judgy” remember this book was written 700 years ago. And by the way it was written out of the husband’s concern to what would happen to his wife when he was no longer there to protect her. This was actually his way of preparing his loved one for the eventuality of his death, and what she should do in order to wow husband number two. Recipes in Le Ménagier de Paris are found in the final third portion of the book, and some even seem to simplify the ones in Tirel’s bestseller. Feasting and enjoying food was central to life in the Middle Ages, but then again, so was fasting and abstinence, and between these last two they took up almost 35% percent of the year. This is why people had to be exceptionally creative with their foods so that they didn’t feel they were missing out on forbidden foods. It’s when almond and all array of nut milks were invented. Yes, you can tell your vegan or lactose intolerant friend that almond milk has been around for AGES and was not a clever invention of Instagram Influencers. Fish was also cleverly disguised as poultry, and all sorts of meat substitutes exploded on the scene. Now food in the Middle Ages, but then again I think this maxim holds true for any time period, was a symbol of status and wealth. Nobility and aristocracy dined a fine array of lavish dishes cleverly crafted with exotic herbs and spices in copious amounts. It’s the time when peacocks and swans made great pie stuffings, when roasted rabbits were presented at the table dressed in full armor and elaborate and gravity defying sugar masterpieces decorated table spreads. Those sumptuous banquets were obviously only meant for the lucky few. But trade and commerce evolved, a larger portion of society could now aspire to Sunday roasted swan. Outraged by the idea of having commoners being able to delight their palates with the flavors only the upper crust had had access to, sumptuary laws were passed in many European nations which stated what people could eat according to their class or their profession. Yet sneaking in bit of tasty morsels kept happening all over the place and there was really nothing that anybody, not even the Church could do about it. And by the way the English Royal Household was so upset of anybody else eating swan, that to this day ALL swans on the Thames river belong to her Majesty. Etiquette in medieval times was quite different from ours, but extremely strict. This idea of large banquet halls filled with scruffy warriors burping left and right and bones thrown on the floor is and absolute fallacy. Sure forks were nowhere to be seen except in Spanish and Byzantine tables, and diners were expected to bring their own knife and goblets were shared with the guest next to you, not because there were few goblets, but to encourage a feeling of respect and camaraderie. All dishes were placed un-portioned on the table at the same time. This way of serving food was, and still is, called service à la Française – it wasn’t until the mid 19th century that service à la Ruse became fashionable, which means meals are served in courses and in individual portions. Despite all this, table manners were a crucial part of dinning, so much so, that many ladies were excused from dining with gentlemen to avoid any potentially embarrassing situation, and would join their male counterparts close to the end of a meal, where after having probably stuffed themselves prior, they would nibble gracefully in front of their guests. In many cases dishes (both sweet and savory) varied widely from what we consider to be normal flavor combinations today. Foods were organized accordingly to the humor that was thought to correspond them. Humors were what the Ancient Greeks considered to be the “building-blocks” of organic life. The four humors were: blood, phlegm, yellow bile and black bile and they had corresponding qualities: hot/wet, cold/wet, hot/dry and cold/dry– yes, I know it sounds a bit disgusting to talk about these in a food blog, but hear me out. Food was regarded as a way to keep healthy by balancing the humors in the body. For example if somebody was melancholic, it was believed that that person suffered from an excess of black bile in his system. The word itself used to mean black bile as it comes from the greek melas black and khole bile. Therefore he or she was encouraged to eat food that was thought to be hot and wet to counter the cold and dry in their body, food like frumenty, a type of old school porridge, hot custard or plain chicken broth would have been the remedy. Along with proper sleep and good old exercise, another cure-all of the Middle Ages. Sometimes recipes would just have a mix of all types of humors to keep diners balanced. Lots of meat dishes were paired with acidic fruits, vinegar or verjus (a very tart juice made with unripened grapes), they were sweetened with honey or sugar in the case of the wealthier, and almost always heavily spiced. This type of cuisine could at a quick glance resemble delicious dishes from the Middle East. Many many medieval recipes are outright delicious, although others seem a lot less appealing, at least for my taste. But hey, if herring cooked in a sweet honey custard with fruit and spices is your thing, no judgement here. Digestion was widely considered to be similar to cooking, and therefor food had to be consumed in a particular manner. 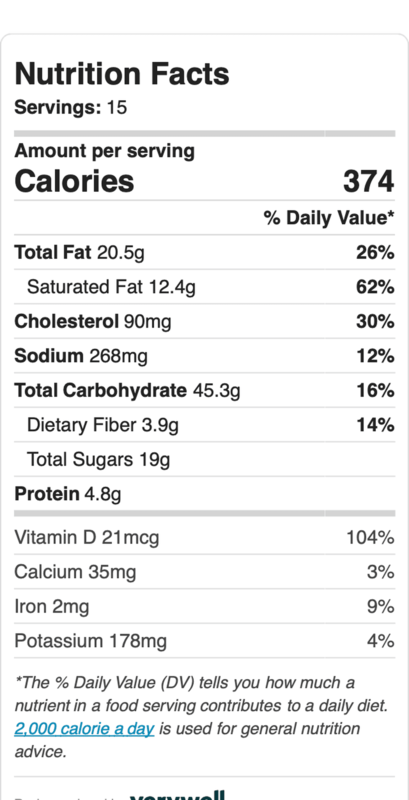 Foods that were considered easy to digest were consumed first. Diners would start with an aperitif or assiette de table, which was comprised of a sweet wine, a salad or some soft fruit and perhaps some type of pastry. Once the stomach was considered “opened” the next course of porridges or soups was presented, and always with bread. In more affluent households we would find this course to be followed by roasts and meats, or fish on lent or abstinence days. To end the meal it was custom to close the stomach, and just as it had been opened before it was customary to finish the meal with some sweet wine such as hypocras, a very similar concoction to mulled wine, some candy, like dragées, some cheese and maybe some pears. Most fruits, although definitely not all, were considered wet and cold, and therefor were to be avoided, unless properly cooked. This last course was called desservir which translates to clearing the table, and happens to be where the word dessert comes from. As time progressed the array of dishes presented during the desservir course became increasingly more elaborate, they included fresh fruit covered in honey or syrups, doughnut-like fritters, crêpes and wafers with sugar, sweet and savory custards, baked fruit custards like Clafoutis (see my post on Cherry Clafoutis for an old cherry recipe), fruit tarts, flavored sugar pastes like marzipan, and darioles a pastry shell filled with almond milk and eggs sometimes with fruit, sometimes with bone marrow and sometimes with fish. I wasn’t kidding when I said medieval dinners enjoyed sweet fish dishes. 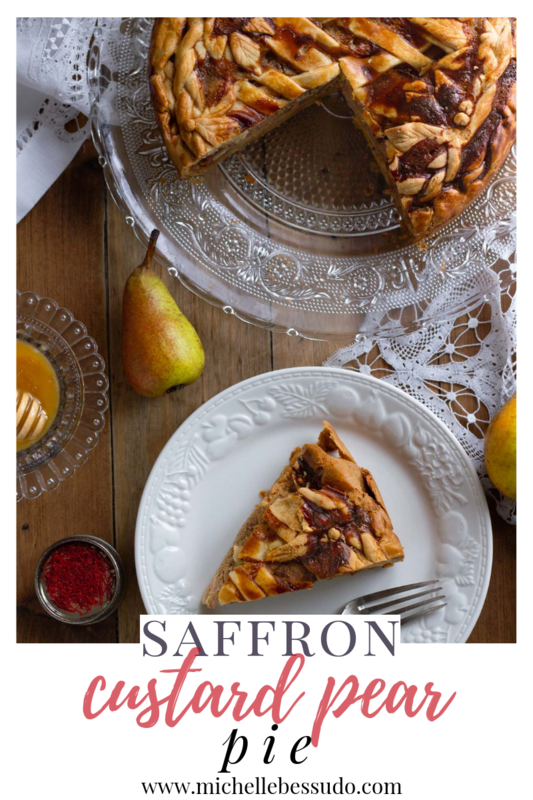 But by now you must be wondering about that Saffron Pear Pie I mentioned earlier? Enjoy the recipe! Flaky layers of shortcrust pastry dough filled with plump juicy pears and a saffron, cinnamon, ginger, and honey custard. But one of the best parts is that this delicious and aromatic pear tart has no added sugar, it's an adaptation of a medieval recipe. Slowly add water 1 tablespoon at a time and pulse or knead. Bring the dough together and wrap in plastic. Refrigerate for one hour or overnight. Mix eggs, spices, honey, and cream in a bowl. Peel, core and cut pears into wedges. Roll out pastry dough and place in a non-stick baking dish. Place pears in a baking dish in concentric circles. Pour egg mixture into dish. Bake pie for 30 minutes or until golden brown. Tag @michellebessudo on Instagram and hashtag it #michellebessudo so I can share it with the world!